Introducing the DDMWorks 6 Piston Big Brake Kit Upgrade Kit for the Polaris Slingshot. 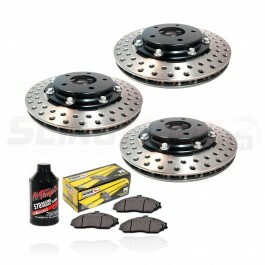 This kit utilizes whopping 14" x 1.1" rotors! 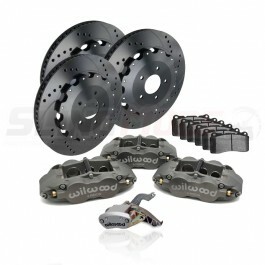 This brake kit replaces the small single piston stock caliper with huge forged SuperLite 6 piston Wilwood Calipers. 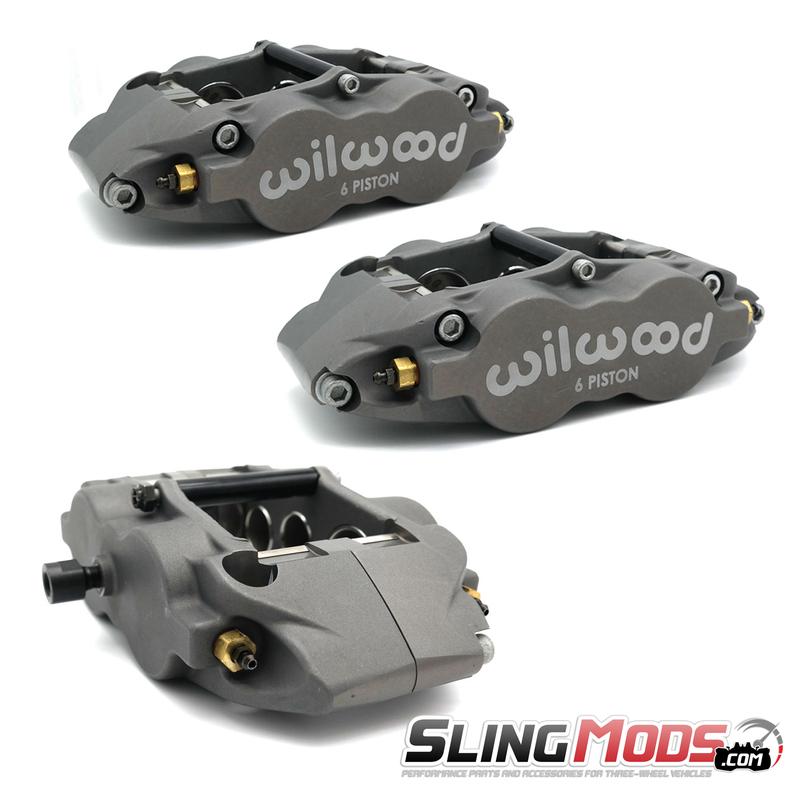 The forged superlite calipers from Wilwood have become the benchmark in many forms of racing. These calipers utilize internal fluid ports to eliminate external fluid crossover tubes, creating a more robust caliper for both race and street cars. 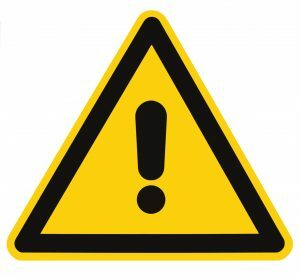 The rotors fit under all of the 18" wheels we tested, however, stock SL wheels and some others, may require a 90 degree valve stem to be installed for clearance (not provided). 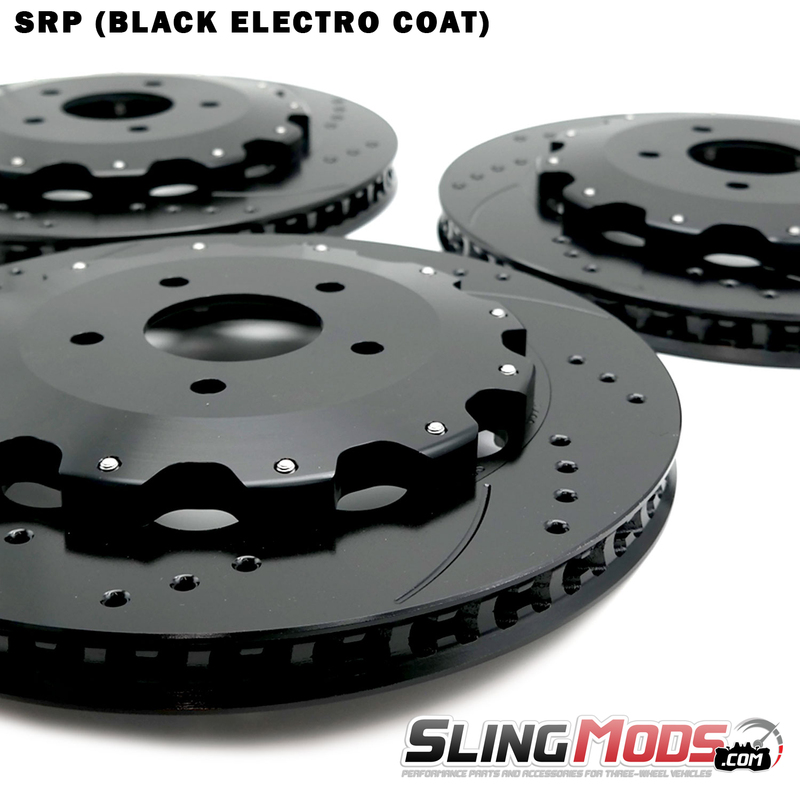 Please note that the SRP Black Electro Coating will dissipate during the brake kit break in period and heat cycling. 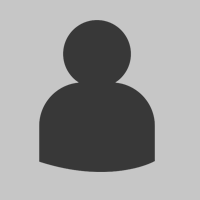 We highly recommend that this brake system is installed by a professional! 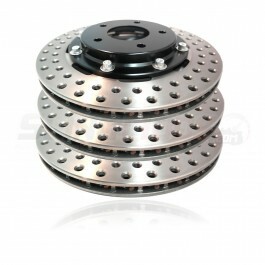 What's Included with DDM Big Brake Kit? 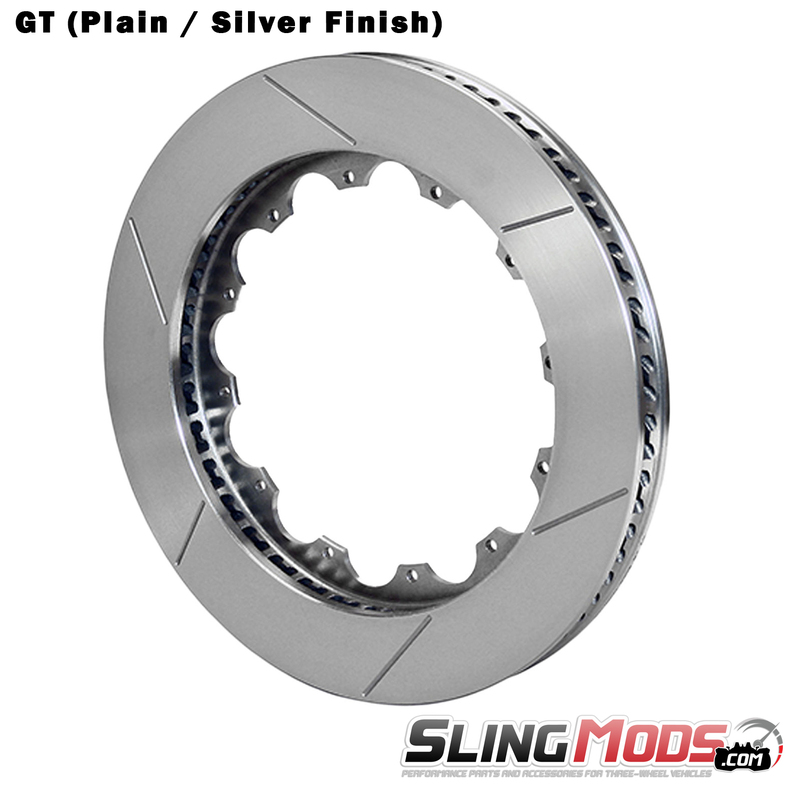 Improve braking, reduce weight and improve looks with the Upgraded Rotor Kit for the Polaris Slingsh.. 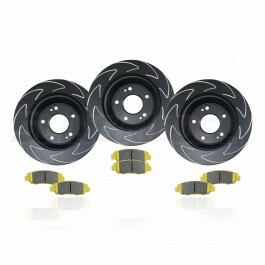 Improve stopping power, looks & pedal feel with our EBC BSD Sport Rotor & Brake Pad Kit for the Pola..